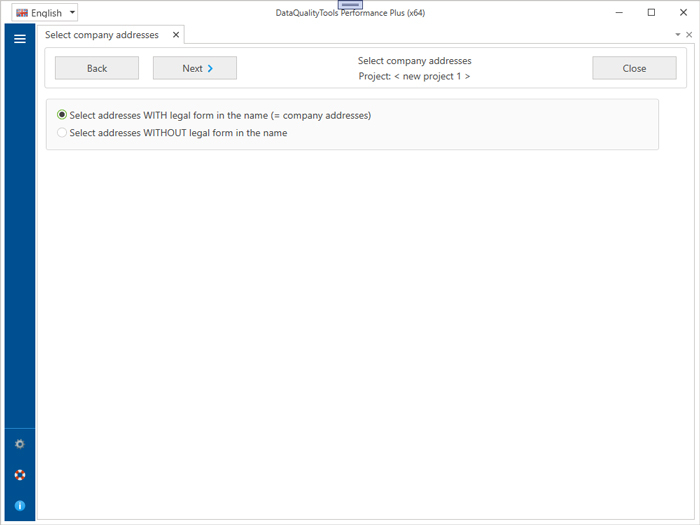 You can use this function to select addresses that can be identified by their legal form as addresses of companies. The remaining, unselected addresses are then either the addresses of private individuals or the addresses of companies whose company name does not have a legal form. If desired, this selection criterion can also be reversed. Then the addresses without a legal form are selected instead of the addresses with a legal form.